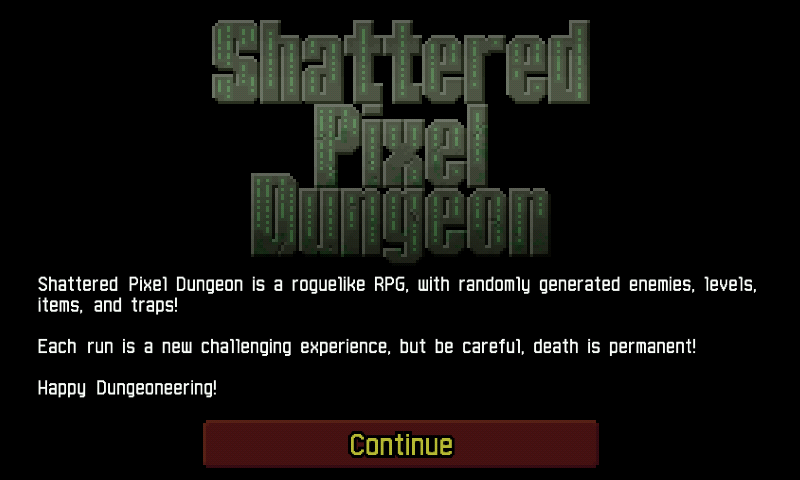 GDX port of Shattered Pixel Dungeon the awesome fork of Pixel Dungeon. 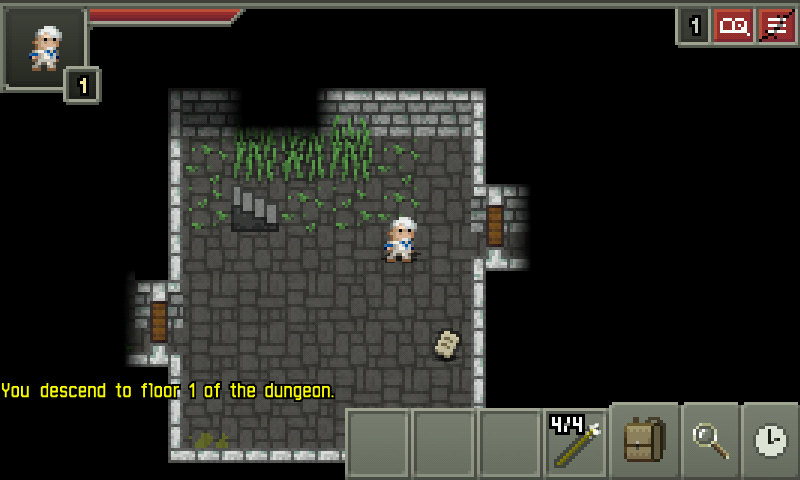 A Roguelike RPG, with randomly generated levels, items, enemies, and traps! Based on the source code of Pixel Dungeon, by Watabou. The game use Java (that must be installed) and GDX (and also using gl4es for OpenGL context). Appart from forcing fullscreen 800x480, it's a vanilla build.